Guncreting is generally used in the construction of swimming pools, water tanks, dams etc. Guncreting is also known as Gunite or shotcrete. 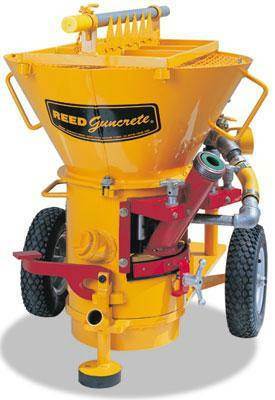 Guncrete is mortar that with water transmitted through a hose with the help of a pneumatic machine. At a high velocity, this concrete is forcibly projected onto the surface of the swimming pool to be coated. The performance characteristic of Guncrete is that they have good density and great strength. The usual proportion of cement and sand mixture being used in guncreting is 1:3.Slightly moist sand is mixed with cement. If necessary, water is added when it comes out from the cement gun. A specialized valve is implemented to regulate the quantity of water. The water requirement for this technique is comparatively less to traditional plastering of cement. The advantage of guncreting on swimming pools is that high permeability and durability is achieved. So that it does not allow the swimming water to pass through it and it helps to increase the life span of swimming pools .Due to this technology the time taken to plaster the walls and floors of the swimming pools is very less. The result of using Guncrete for the walls of swimming pools, it creates a much stronger and water tight wall with fewer joints between wall sections than a traditionally plastered wall or readymade walls. We Eternity Pools use Guncreting technique to apply concrete on swimming pools. So our swimming pools will stay strong and stylish for a long time.